One argument for making cities more walkable for people hinges on the public health of its population. Speck argues that as sprawl became the order of the day for cities and suburbs, city planners ended up designing the “useful walk” out of existence, instead focusing on creating distance between things, leaving car travel as the only useful way to get around town. Besides the money blackhole that cars create for people, it also adds to the amount of time that we just spend sitting on our butts. Obesity is on the rise and while obesity and being overweight causes health problem in and of themselves, all the other ancillary problems that are caused by being overweight (diabetes, heart disease, osteo-arthiritis) add up. The Atlantic recently published an article that detailed the crisis of medical debt facing Americans, a situation that is unique to our country. Though the article stays mostly in the political realm of the healthcare, additional doctor and hospital visits as a result of obesity and the lack of public health will surely add up in the future. One thing that cars are good for is crashing into each other and into things. In 2017, car crashes killed nearly 40,000 Americans. Digest that number for a second. 40,000. That’s probably more than went to your college. Or live in your neighborhood. Designing and creating cities for cars only leads to increased danger for the brave souls that venture out to walk around their city. If they do walk around, pedestrians are in increased danger of being hit by a damn car! In 2018, pedestrian deaths rose to 6,227, about 250 more deaths than 2017. Pedestrian deaths have been rising almost every year for the last two and a half decades. The Chicago Tribune recently posted a relatively oblivious editorial blaming the rise on people’s attachment to their smart phones and while pedestrians aren’t completely blameless, bigger cars and faster speeds are contributing to people being hit by bigger and more powerful vehicles. In what should come as a major shock (please wear your sarcasm translator), other countries around the world that aren’t as car-dependent have lower car crashes and pedestrian deaths. 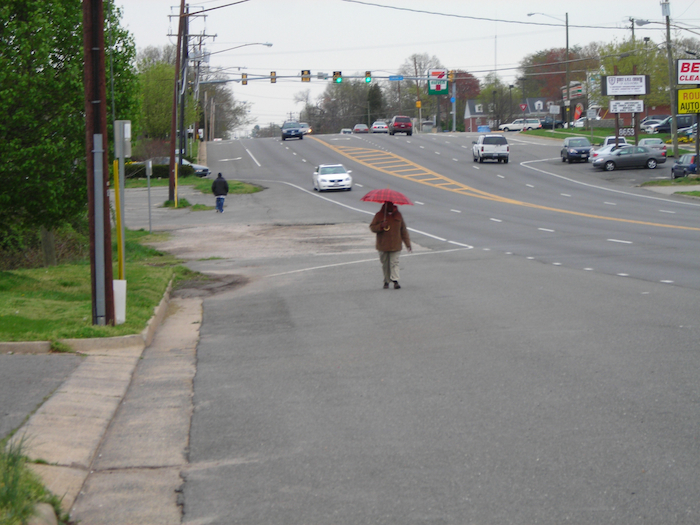 So….if your city is more walkable, there’ll be fewer pedestrian deaths and likely less car accidents, as well. Cities are clearly failing at protecting their residents that choose to walk around their neighborhood. One of the negative externalities of designing cities around cars is smog and air pollution. Many of you have probably been caught in soul-destroying traffic. It occurs every day here in San Diego, and it makes me shudder just thinking of it. Congested and clogged city streets and the freeways that serve as city arteries can contribute to asthma and premature deaths in that city. San Antonio is a very car-centric city with not that many walkable neighborhoods and areas – its WalkScore is 38, essentially meaning that you need a car to do daily tasks. Within Bexar County, where San Antonio is located, 65% of adults are overweight or obese, 30% of high school students are the same, and the EPA also deemed San Antonio’s air as too polluted to meet federal standards, leading to stricter regulation of air quality in the city. Chronic Lower Respiratory Disease is the 6th leading cause of death in the city, accounting for 4%. In the lead is Heart Disease at 23%. These causes of death can be linked to the lack of walkable spaces for pedestrians and the car-dominated landscape of the city. I know it seems like I’m pooping on San Antonio unnecessarily, but I’m not doing so on purpose. I love being in San Antonio. But it could be so much better. The data on causes of death come right from the city government’s website. This can be looked at two ways. First, that San Antonio has insurmountable problems and that government intransigence cannot be overcome. It’s tempting to only view the problem through this lens, as the mayor and other city leaders have complained about EPA standards and only paid lip service to making San Antonio a healthier place. On the other hand, San Antonio is ripe for change and modernizing. 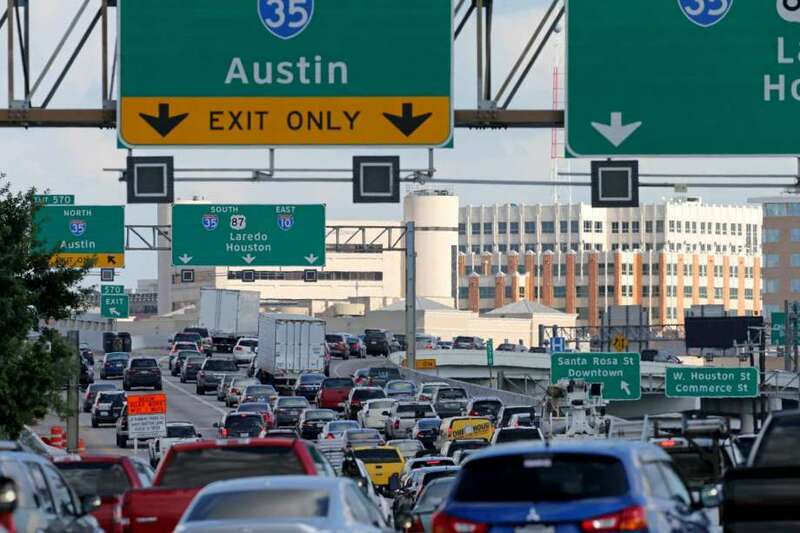 San Antonio is projected to grow by 1 million people by 2040, and those people are going to need faster ways of traveling around the city and surrounding area. Continuing to build highways and roads, increasing the power of the car, will not do. Creating a cycle track through core neighborhoods of downtown, which would make it relatively easy to bike from neighborhood to neighborhood, would be a good start. Not every street needs to have a bike lane, but certain streets that could be connected in a loop would give those who want to bike a safe opportunity to do so. Not only would it serve to bring more cyclers out, but the people who started biking more would certainly be healthier. Neighborhood streets should be walkable, however, and people should have walking access to stores, schools, work and entertainment. Rather than continuing to develop around the car (San Antonio had the most car crashes in Texas in 2017, 43, 951), San Antonio has a great opportunity to redevelop the city around its people. Let the people walk! Let the people ride! It will make people and the city healthier.